Manicure – A manicure is a treatment which is done on the fingernails and the hands. 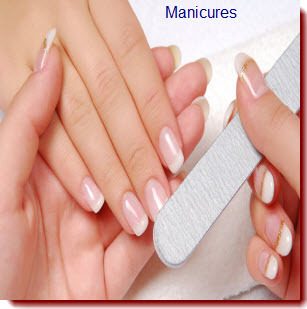 A manicure is based around filing, shaping, clipping of nails as well as non-living tissue, and treating the cuticles. A manicure includes an exfoliation of the hands and a hand massage, and afterwards the application of nail enamel, gel or acrylic, with the clients’ choice of any additional small designs or patterns that can be drawn on the nails.